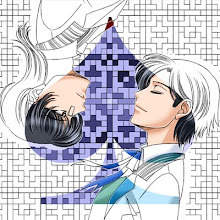 黑火子 ~Kurohiko: GOLD Manga #3 Available at NBS Fisher Mall! 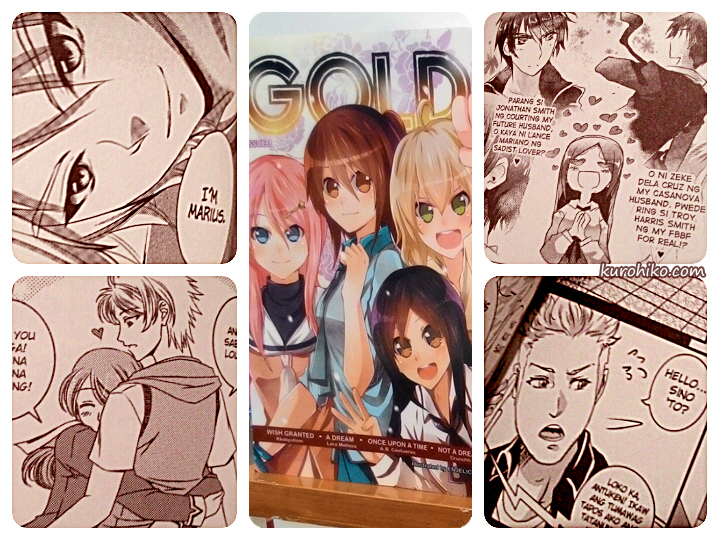 GOLD Manga #3 Available at NBS Fisher Mall! Because I’m terribly excited to see how the latest book came out, I went hunting for it today at Fisher Mall. I though I had to dig around for them like last time, so I was surprised to see that they were placed on the top shelf! I haven’t read all of the stories yet, but browsing through them, I can tell everyone worked hard in making their pages! I took photos of some of my favorite scene for each artist, just so you guys can have a little sneak peek! For WISH*GRANTED, I am loving the new tones I used for this book. I’ll probably use the same tone count for the next chapter of FBBF, but I’ll tweek it a little more to get it as clean as possible. The highlighting is different too, but I’m still not totally satisfied with it, so I might use another technique later. Anyway, please do grab a copy of GOLD Manga #3! We hope you’ll continue to support us! Go forth, GOLD Artists! Let’s try even harder in the next book!